With more than 13m UK households now paying subscriptions to access a greater choice of TV and online content, the competition has never been fiercer. 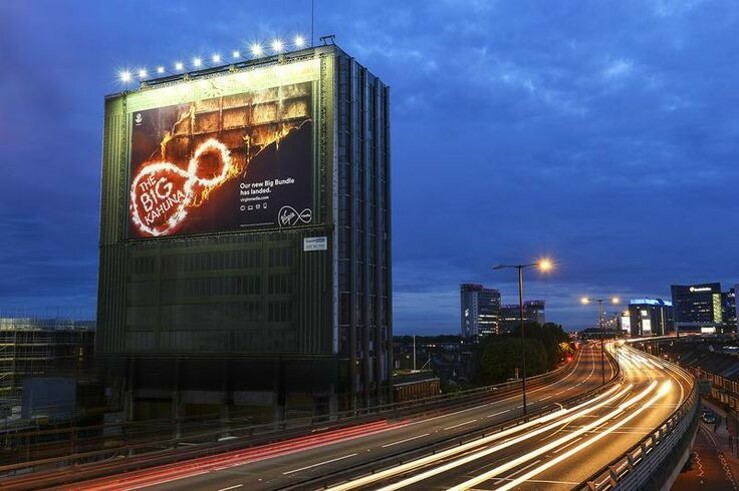 Virgin Media wanted to build awareness for their new "Big Kahuna" bundle of communications services. The objective was to utilise the wide reaching and impactful nature of Out of Home to first establish awareness of the Big Kahuna brand amongst UK households. Messaging was then used to demonstrate the relevance of its key benefits to different segments of the market in a highly personal and relevant way. 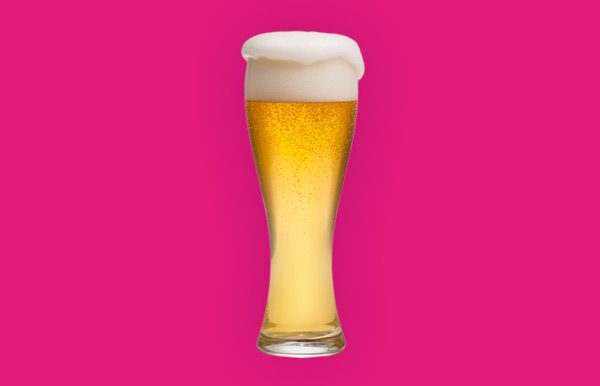 48 sheet and 96 sheet billboards were supported by premium sites and iconic digital screens. 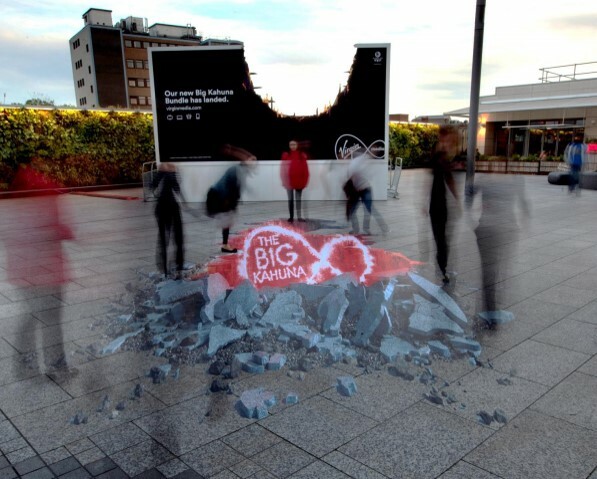 Bespoke OOH formats such as building wraps were also used to achieve cut-through and announce the arrival of something new in a unique & striking way. Out of Home was the lead channel used to establish brand awareness with 80% of people claiming they had a positive first impression. The campaign gained a high recall of 41% in White City and a third of those asked stated that it improved their perception of Virgin Media.